President Donald Trump has repeatedly described the New York Times as “failing,” but its latest results tell a different story. Online subscriptions accelerated for a fourth quarter, prompting New York Times Co. to set an ambitious new goal: hitting 10 million subscriptions by 2025. That helped send the shares to a 13-year high on Wednesday. The company is now doing well enough that it plans to buy back its Manhattan office space for $250 million, ending a decade-old leaseback deal from when it was desperate to pay down debt. The Times also raised its dividend. While many newspapers have struggled to make up for print losses as readers move online, the Times has built a large digital subscription business. And Trump himself has had a hand in the success: Subscribers to the Times surged in the aftermath of his election. The growth slowed in the first half of last year, but the gains have picked back up in recent quarters — reflecting the public’s demand for news and the paper’s marketing strategies. Times shares rose as much as 12 percent to $30.07 on Wednesday, marking their biggest rally in a year. The stock is now trading at its highest level since September 2005. The publisher of the eponymous newspaper added 265,000 new digital subscriptions last quarter, the biggest increase since the months right after the 2016 election. The New York Times had 203,000 in the previous quarter and 109,000 in the quarter before that. The paper ended the year with 3.4 million digital subscriptions and 4.3 million total subscriptions. On a conference call, Thompson said the recent gains weren’t just driven by interest in the recent U.S. midterm election. “Our present momentum is broad-based and far less reliant on the politics at the moment than the surge of two years ago,” he said. But the subscriber gains were driven largely by new subscribers who are paying introductory prices of as little $1 a week. The average revenue per customer dropped 3.5 percent in the quarter compared with last year due to many subscribers paying those promotional rates. The big question will be whether those subscribers cancel once they graduate to the full price. The Times said Wednesday that it will raise digital subscription prices for the first time since it introduced its paywall in 2011. Fourth-quarter revenue increased 10 percent when excluding the impact of an extra week in 2017, with subscription sales up 5 percent and advertising sales up 11 percent. Digital advertising revenue was up 23 percent, while print advertising revenue decreased 10.2 percent. 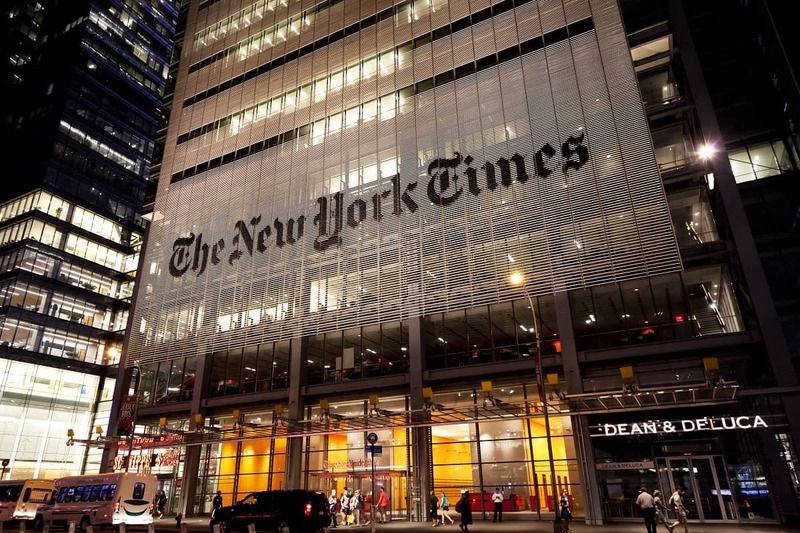 The Times has set a target of reaching $800 million in digital revenue by 2020. New York Times also is spending more to get those new subscribers. Marketing expenses increased to $48.6 million in the fourth quarter, up about 50 percent from a year ago.